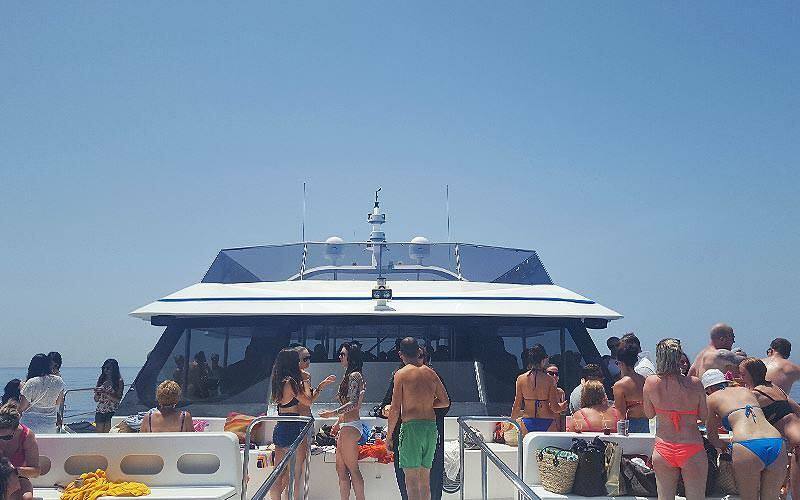 Get ready for Marbella's biggest party… on water. 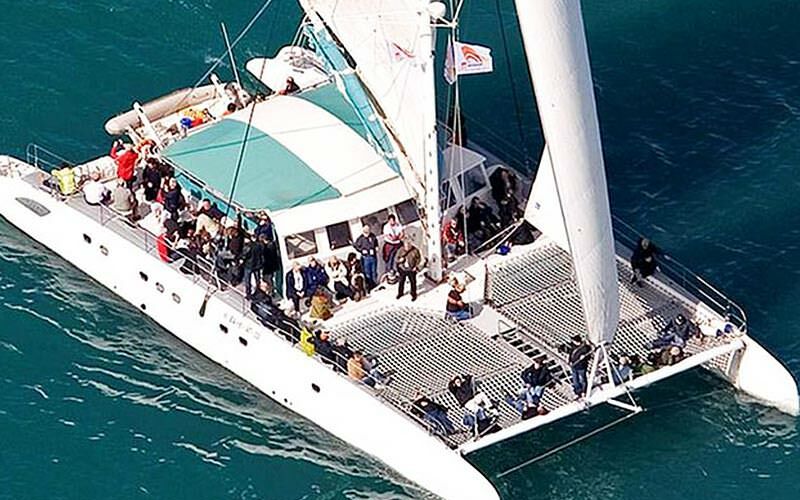 This catamaran party cruise, which can hold up to 120 people, is one of our most popular activities, and there's no surprise. The giant catamaran is luxury personified, with two beautiful decks and an on board bar. 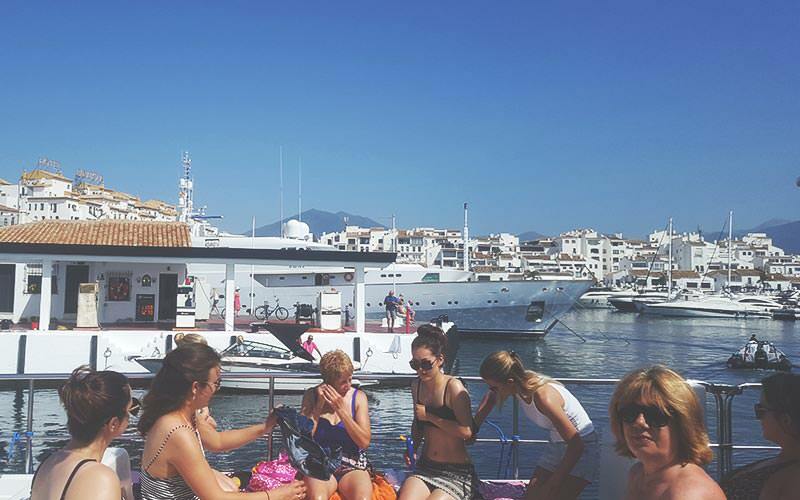 The boat is all white furniture and glam crowds, with ample seating to soak up the sun and take in the beautiful Marbella coast. However, if you have your eyes on the net seats at the front of the boat – you'll have to get on quick… It's first come, first served/survival of the fittest for the best seats in the house (or boat). 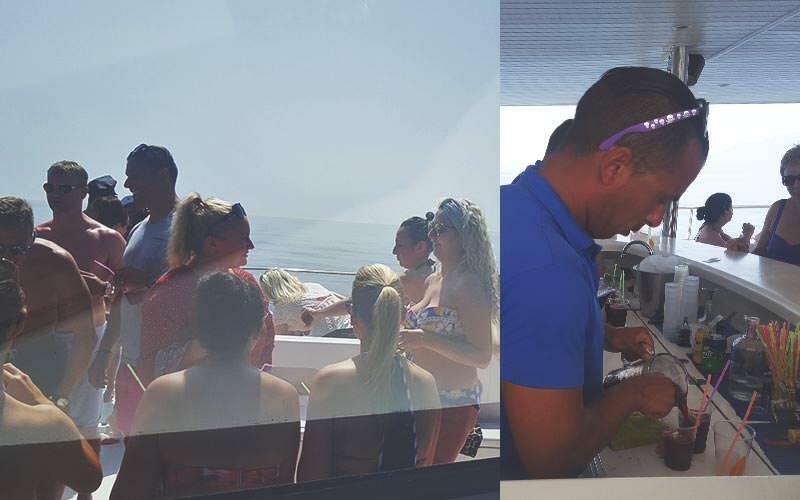 This fantastic catamaran sets sail from Marbella Town and takes to the sea for several hours of drinking and dancing. There's even a giant dance floor inside, and an epic DJ keeping you all entertained under the blazing sun. 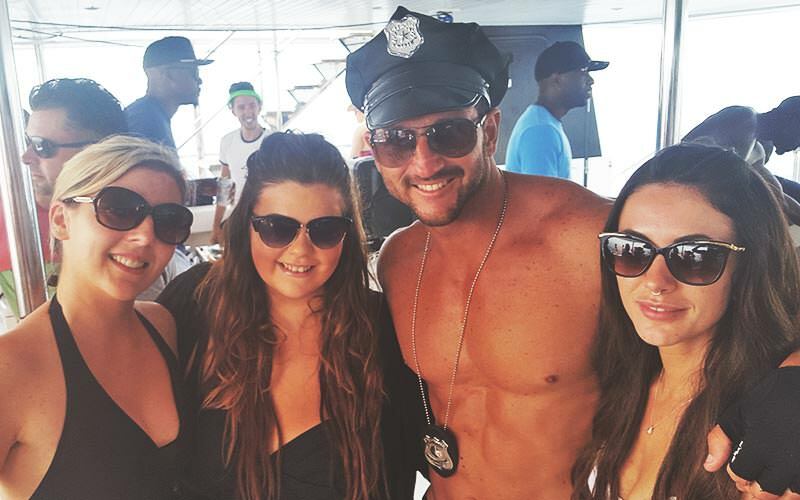 You and your group will have three drinks each during the boat ride of your life. And, when this boat drops anchor – you can even jump in the sea for a refreshing dip. Oh, and just for that extra incentive (not that you need one), there'll be a cheeky butler for a spot of eye-candy for the hens.